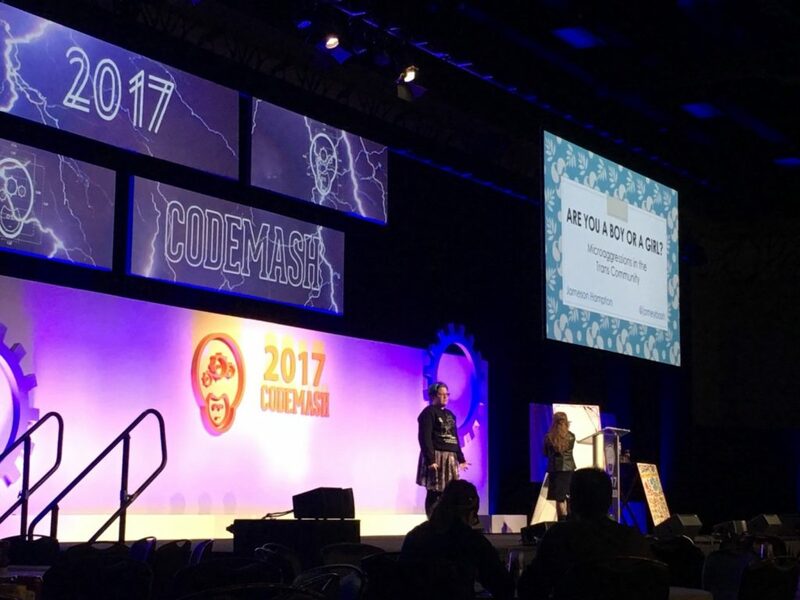 I was lucky enough to spend most of last week at CodeMash, a huge conference that takes place at a giant African themed waterpark in sunny Sandusky, OH. And you thought that traveling for work sounded boring! 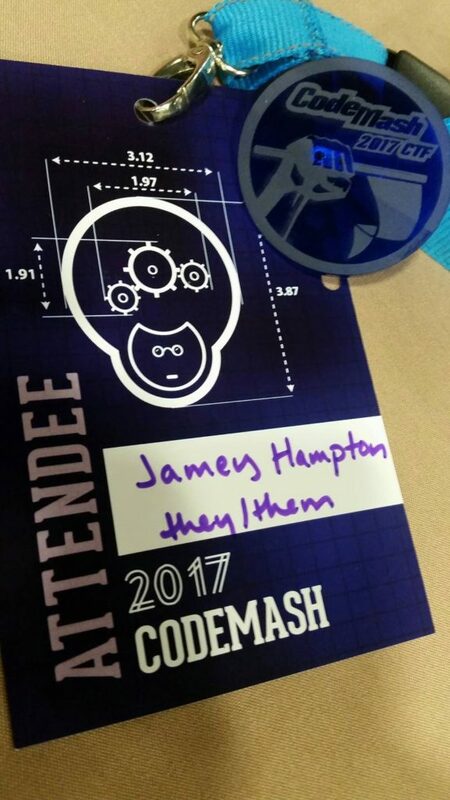 It was an overwhelming, amazing experience where I feel like I was able to get my feet wet with a bunch of different things, as well as meet a ton of awesome folks from all over the world! Here were some of my highlights. Of course, I got to see some awesome talks! The lineup of speakers was amazing and I wish I could have seen more of them, it was super hard to choose which ones to go to when there were often 7 or 8 talks happening at the same time. 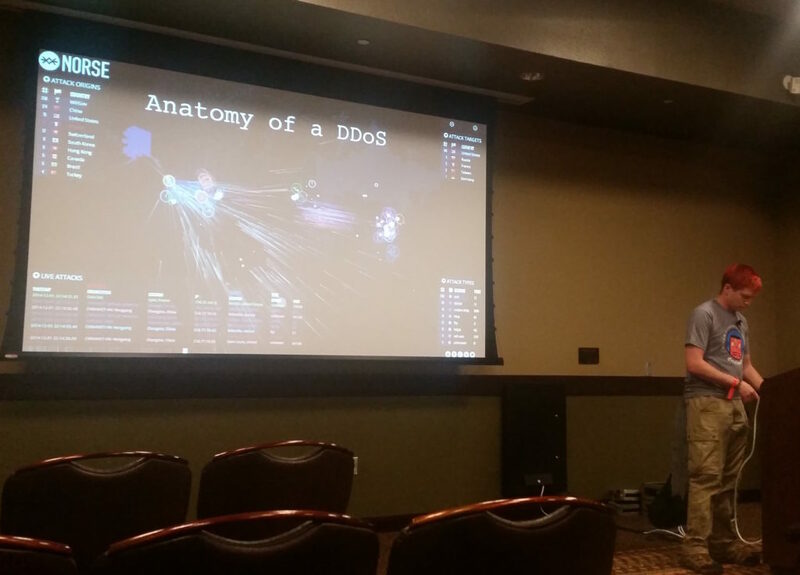 One of my favorites was Aaron Kalin’s talk about the anatomy of a DDOS attack and his experience attempting to mitigate one when DNSimple was attacked in 2014. He covered the different methods of denial of service, as well as potential safeguards against them. 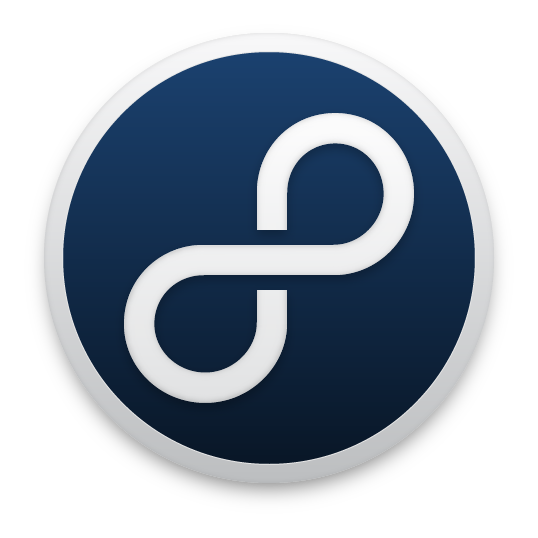 If you’re interested, much of the information about the DNSimple attack is available to read about here. Vigil is a program that punishes you by deleting your code when you have errors. I will now program exclusively in Vigil. When I wasn’t learning about how DDOS attacks are performed, I was learning how to exploit other security vulnerabilities at the Capture the Flag tournament, which was put on by Hacking Lab. I wanted to give it a try, even though I had never done anything like it before, and I spent most of a morning learning how to brute force passwords and perform sql injections. While it made me feel a little bit like a Bad Guy™, it gave me a new perspective on a bunch of security issues and the importance of avoiding them in my code. Plus, a little competition is fun! I came in 4th in the precompiler round and 16th in the actual CTF contest! 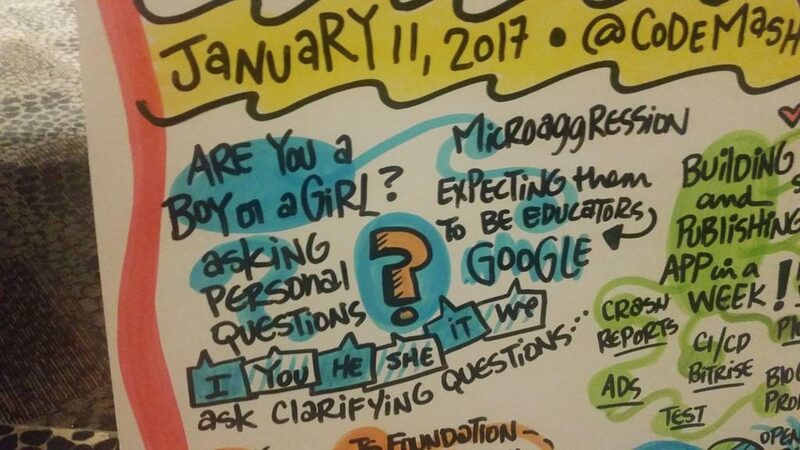 I had the opportunity to give a lightning talk called “Are You A Boy Or A Girl? Microaggressions in the Trans Community.” I was super nervous about it, partly because I never know how a diversity talk will go over at a conference I’ve never been to and partly because look at the size of this stage! 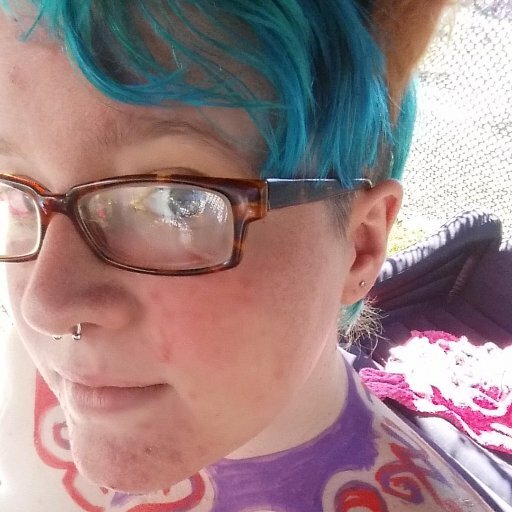 I had no reason to be nervous because it went over extremely well and I really appreciated all the feedback and kind words that I received afterwards. Thank you, @jameybash for a wonderful talk about microaggressions in the trans community. Fab stuff. Also, Melinda Walker from One Squiggly Line did some awesome sketchnotes of the lightning talks and I was very excited about getting sketchnoted! CodeMash reminded me more of Maker Faire than other conferences I’ve been to and I think it was because I was surrounded with so much cool technology while I was there. During the precompiler sessions, I got to program software and modify hardware for drones, work with microcontrollers for wearables and mess around with temperature sensors. It was awesome seeing all the cool stuff other people were working on too! 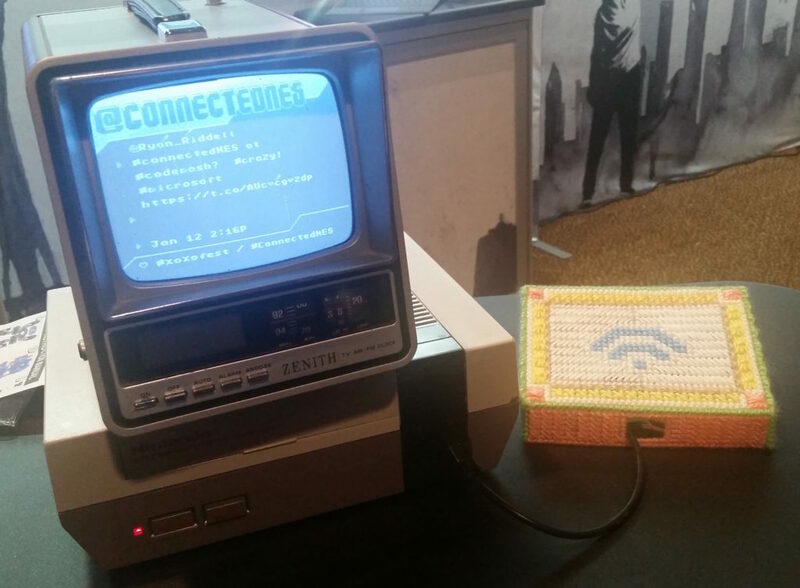 Rachel Weil did a lightning talk about how she connected her old school NES to the internet and taught it to display tweets, which is so beautifully esoteric, I just love it. Also, if you get a chance to try FPV drone racing, TRY IT. 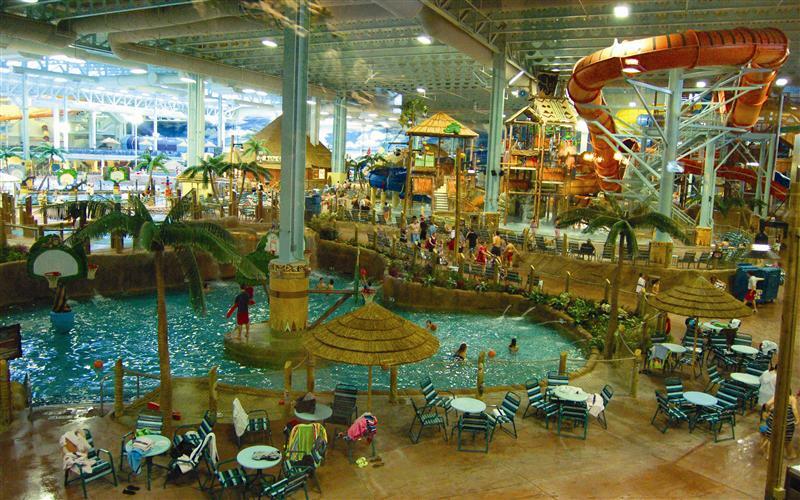 Plus, waterpark! Do not underestimate the amount of joy I get out of waterslides. 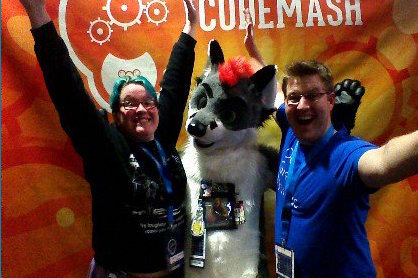 So basically, CodeMash was a great conference and I’m really happy I went and I hope to go back next year and see all my friends again and if you have a chance, you should go too!